It is not by accident that the Lakhta View international lecture project is referred to as ‘educational’: centred around new knowledge about urban environment, it offers its audience an opportunity to reflect on the structure of the landscape that keeps changing in front of our very eyes – to view it from a different vantage point and superimpose our own layouts on it with the mind’s eye. 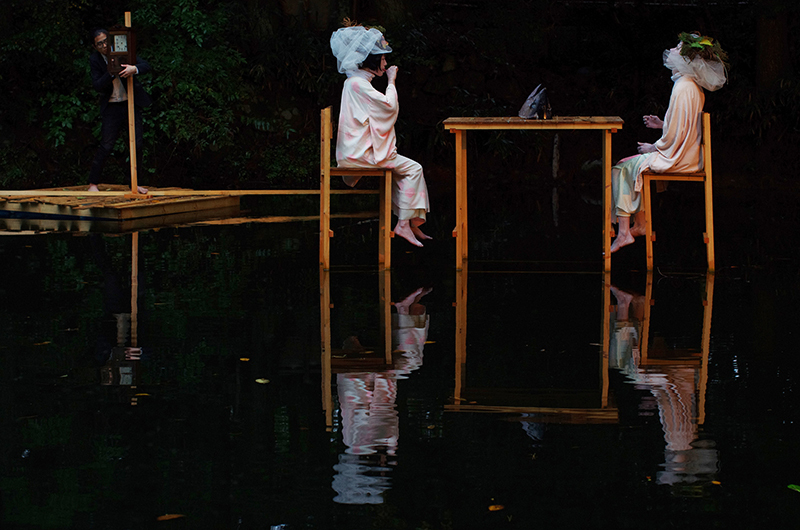 Two authors who study the contemporary forms of interaction between culture and nature – the British artist Andrew Logan and Hidemi Nishida from Japan – were invited to take part in the second session of the project, entitled Nature; this was not their first visit to Russia by far. The Tokyo-based architect, designer and artist Hidemi Nishida graduated from the Academy of Art and Design in the Norwegian city of Bergen and was now speaking in St Petersburg. There is a certain, somewhat obvious, similarity between these three geographical points where man constantly exists in an intersection of the elements – earth and water, bound together by air – which makes one's sense of the uniqueness of the landscape particularly acute. And it is this particular quality that Nishida has made the subject of many of his works: since 2010, he has been mounting installations in locations of public space, often using wood, lighting effects and even video. Nishida showed his objects in 2010 and 2012 in Novosibirsk; 2013 saw him take part in an exhibition in Krasnodar and the Lexus Hybrid Art project in Moscow. The concept of fragility, so significant for the artist, first made its appearance in the titles of his works in 2011. 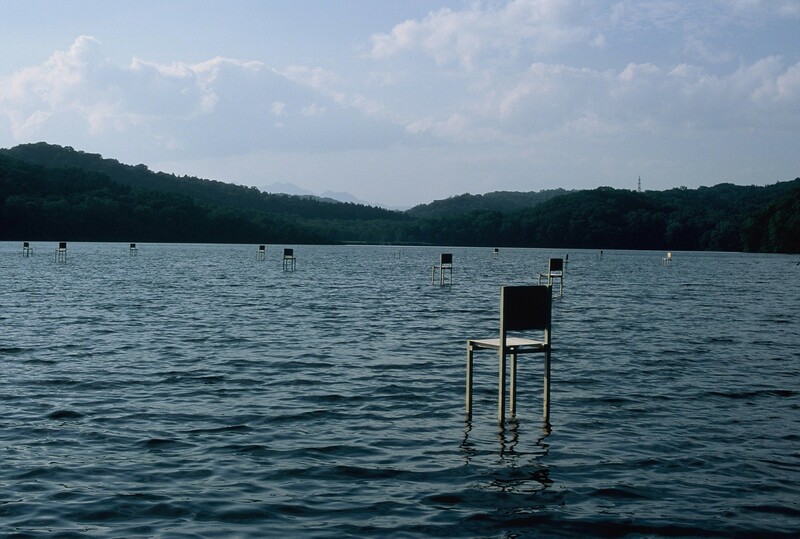 It has been a hallmark element of Nishida's art ever since, one of the most recent examples being his 2017 'Fragile Chairs', which were installed on the mirror-like surface of Lake Poroto, a sacred spot for the Ainu people on the island of Hokkaido, linking the past with the present and habitual expectations with extraordinary possibilities in the viewer's mind. It was also the subject of our conversation. Stereotypically, Japan is seen as a land of traditions. Does your own practice relate to tradition or would you rather describe it as breaking with it? If it is a tradition, what is it? It’s difficult for me to say. I was trained as an architect but did not stay in the profession, embracing art instead. The reason behind this change of occupational direction, as it were, was my aspiration to express fragility, to capture the concept of fragility in my work. According to ancient Japanese wisdom, nothing ever stays unchanged; everything is undergoing constant transformation all the time; it is the principal idea of the Japanese culture, and I express it in my work. That is probably the way my link with the Japanese tradition manifests itself. You are sometimes referred to as an architect performance artist; what is your opinion of this description? Architecture is, after all, about being static, while performance is exactly the opposite. That is precisely why I cannot call myself an architect: my things are somewhat pointless (laughs). From an architectural point of view they have no practical function. For instance, when I design weirdly shaped pieces of furniture: I often use the theme of chairs that are either placed on the surface of a lake, or that are simply way too tall. All of this is a certain departure from the familiar context. Instead of architecture, I am mostly focusing on the fragility of the world. To what extent does the existing range of ecological problems influence your work? I am an ordinary insignificant man, and sadly have no idea of ways in which I could have any noticeable impact on global problems of this scale. I do everything within my power to remind the largest possible number of people of the incredible beauty of the world around us and demonstrate the depth of thoughts and feelings invoked in us by nature. Anyone who encounters the exquisiteness of natural forms and becomes aware of their magnificence and creativity eventually starts to give some thought to paying more attention and taking better care of this beauty. In other words, I try to inspire people to be kinder to nature. What are the materials you work with when you create your installations? Which ones do you prefer? Wood. The best of all materials. It is easy to source, it is nice to work with. Of all the things I have tried working with, it was wood that impressed me most. What are the peculiarities and difficulties that arise during the designing and mounting of your works? Are there any aesthetic boundaries and ethical no-nos that you observe? The main difficulty is finding new forms to express the thoughts and ideas that are born in my mind. I want to evolve, to try new things, experiment. Difficulties arise from the actual desire itself, but I don’t mind. Many people say that I generally have a somewhat irregular approach to the creative process, but it’s just that I am looking for a way to realize new projects that would be unlike anything I have done before. Regarding ethics. Despite the fact that most of my works are temporary and normally take very little time to disappear, I always think through very thoroughly all the messages that I want to convey to people; I try to model their reaction and thoughts. There has not been a single case as yet when I have unintentionally offended someone or regretted a certain choice. In this sense, it is simply that I am very careful, because I do not have any particular internal boundaries myself. Why are you so inspired by a completely ordinary thing like furniture? Where is this desire to introduce it into a natural landscape rooted? Does it gain anything from it? As I see it, a piece of furniture is always a highly symbolic object, an artefact that speaks for itself. I love using furniture in my projects because it is such a mundane thing that we encounter every day. The appearance of this kind of object in a natural landscape adds an element of deconstruction to the general picture and the landscape. It is this dissonance that suggests new thoughts and ideas to the viewers and sets in motion their own imagination. How important for you are the specific sites and spaces where you work? The specific location and its unique features definitely play a huge role during the realization stage of the project; however, it is not the most important element of my work. I start by thoroughly thinking through the actual concept behind the installation that I would like to create, by breaking down the big idea into details, almost as if I was drawing an architectural blueprint; I go through the smallest details of the whole thing. It is only later on, when I have already formed the complete picture in my mind, ready to be made real, that I pick the site for it. Which are the locations and spaces where you would love to work? And which ones would you definitely rather avoid? I would love to work with the existing elements of a contemporary city, but that is always a very complicated thing. A large installation cannot be mounted without obtaining a huge number of various permits and going through all sorts of preliminary negotiations. Nevertheless, urban environment does not attract me any less than natural landscapes. What locations and spaces are you planning to work with in the foreseeable future? I’m preparing to take part in a big experimental art festival that will take place in March in Japan. It will be hosted by the city of Shizuoka. Organizers are handing over to the artists a number of empty abandoned railway stations on the outskirts of the city. I will also be entrusted with one of these buildings; we are given complete freedom in how we transform and change these spaces. I cannot describe my idea in any detail as yet, for the simple reason that I am not completely sure as to what I actually intend to do with it, but I am 100 % sure that this is going to be an extremely interesting experience. What object would you create in St Petersburg if you had an opportunity? This is an excellent question. It is difficult for me to say right now what exactly it would be, but what I know for sure is that I would love this project to combine some illumination (the streets of St Petersburg are wonderfully lit up in winter), snow and the frozen Neva River. These are the elements of St Petersburg that captured my attention immediately.